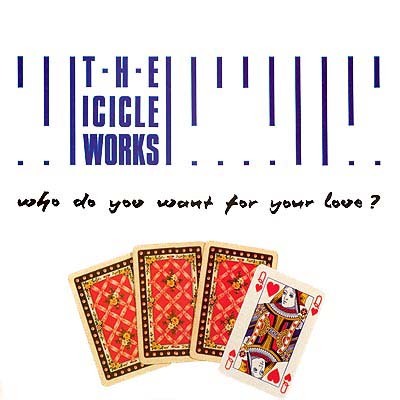 Cover Art: The Icicle Works - Who Do You Want for Your Love? Notes: One studio track and a trio of live cuts from the boys up north. And as an added bonus we get tow smashing cover tunes; one by Joe Strummer, he of The Clash and one by The Doors. Both are worthy renditions and make the record worth looking up for those alone, although the original tunes are quite good too. 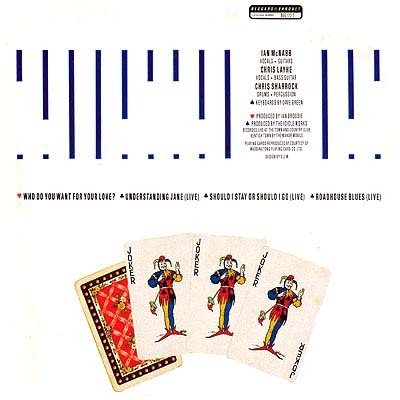 Nice little EP with pleasant graphics and simple cover notes. Title: Who Do You Want for Your Love?